We’re taking a break from our regularly scheduled food programming to bring you some adorable fluff. Fluff in Corgi form. And I know how much you guys love Cocoa. She made a cameo in my Instagram Story the other day, and I don’t think I have ever received so many direct messages. Too many “awwwws” and “cuteee!” and heart-eye Emojis to keep track of! But I understand. I love her, too. She’s not only my first (and only) dog, but she’s a great one at that. She is clearly adorable, but she is also smart, funny, sneaky, fun, happy, always hungry (like all Corgis), and so many other things. She makes my days a lot better, and I don’t know what I’d do without her. Let me tell you a little bit about Cocoa for those who haven’t met her. Cocoa is going to be 6 in March, and I’ve had her since she was a wee little puppy. I named her Cocoa because she’s a tri-color and I’m a Pastry Chef, and because my mind is pretty much always thinking about chocolate. 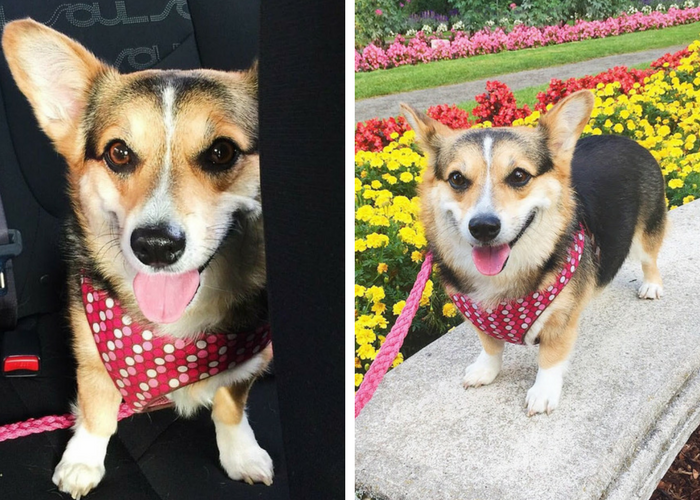 She loves to go for walks, she loves to go on adventures, and she loves cheese. When she was young, she was an absolute maniac, but she’s calmed down quite a bit. Now, she definitely enjoys her relaxation and quiet time. Oh, and being pampered. 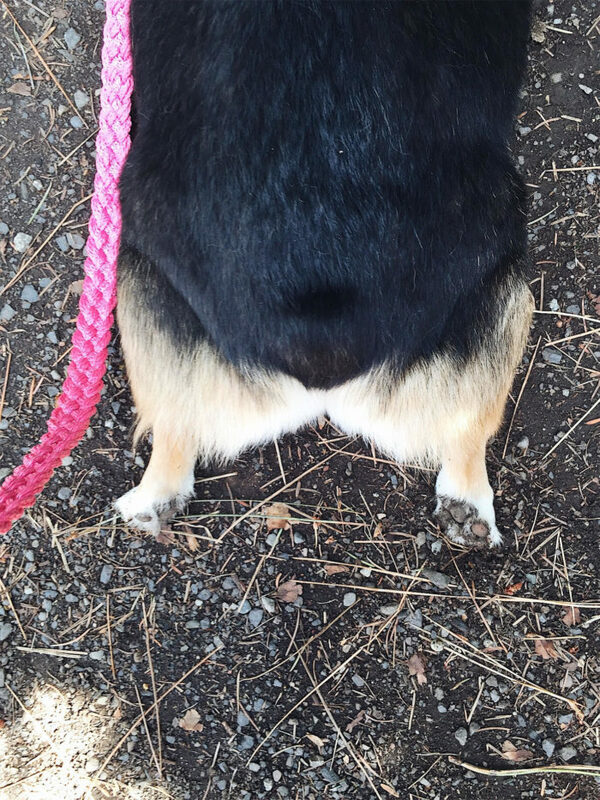 After six years, I definitely see why Corgis are the Royal dog. It’s been snowing (a LOT) lately, and Cocoa hasn’t been able to get quite as many walks. So I decided to throw a Treat Yourself Day for both of us. And we definitely needed one! 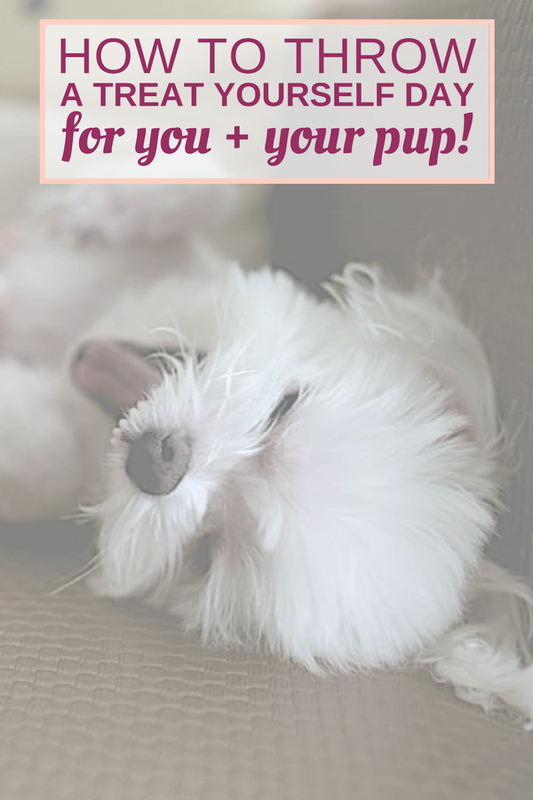 I hope that you enjoy this fun post on How to Throw a Treat Yourself Day for you and your pup! 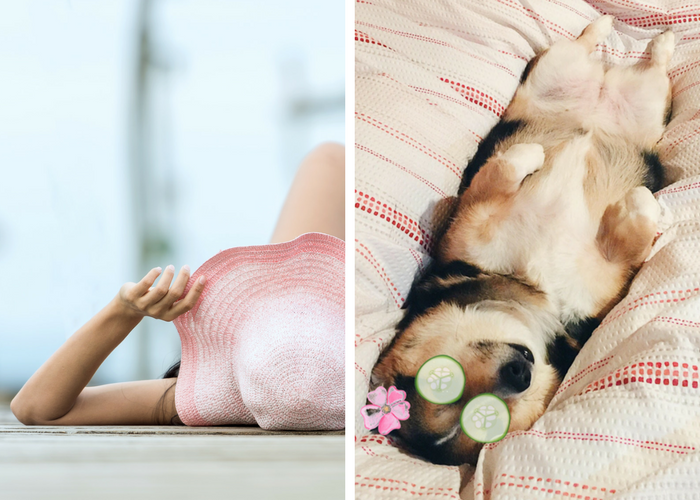 How to Throw a Treat Yourself Day AKA a Spa(w) Day! 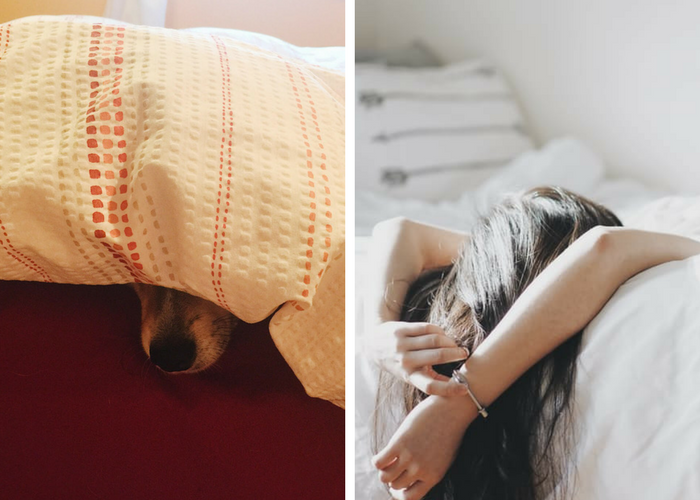 Hit that Snooze button because Treat Yourself Day starts with a well-deserved extra hour of sleep! Today is all about relaxation. Take the day off, and relaaax. Our Spa(w) Day includes lounging, pedicures, snuggling, yoga, and meditation. Take your pup to get groomed while you get a pedicure nearby. My groomer offers a relaxing blueberry facial for pups. 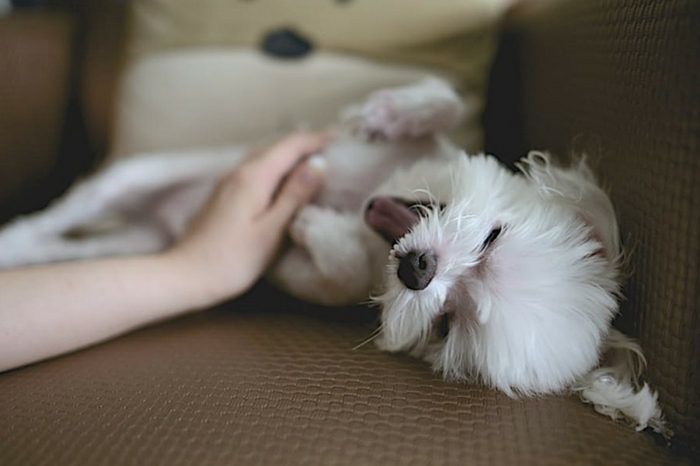 If yours offers a special package, splurge on it for your furry friend! Afterwards, sit outside and enjoy a leisurely lunch on a dog-friendly patio (weather permitting). Mud masks for me. Muddy paws for Cocoa, just the way she likes it. Cocoa and I are both happiest in nature: hiking, going to the park, relaxing on the beach, exploring a new neighborhood on our walks. Go on an adventure, get out, and play! Play is so important to dogs, and we can take a page from their book. Research shows that play is as important for adults as it is for children. It relieves stress, boosts creativity, and improves brain function. So play with your pup, take up a creative hobby, join a local sport’s team, and go on more adventures! Now it’s time to treat yourself—literally! 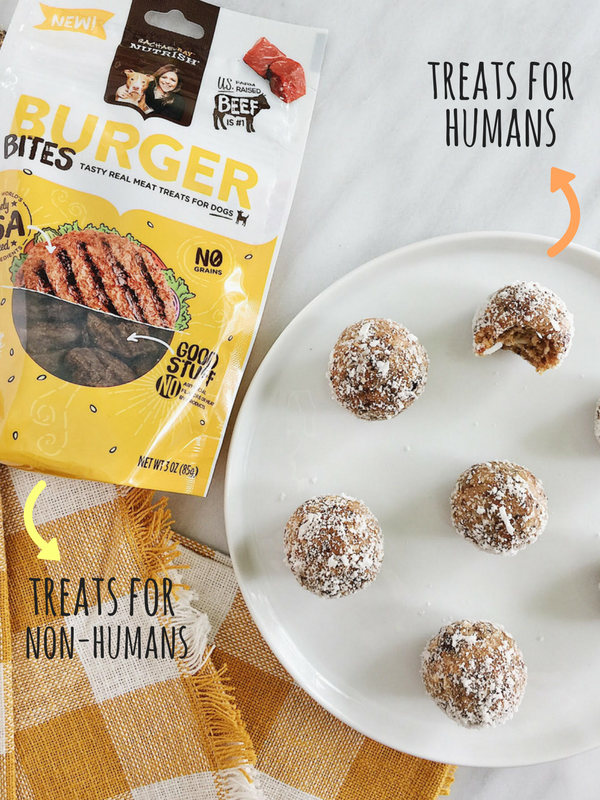 Enjoy your favorite human treats while your favorite non-human enjoys theirs! 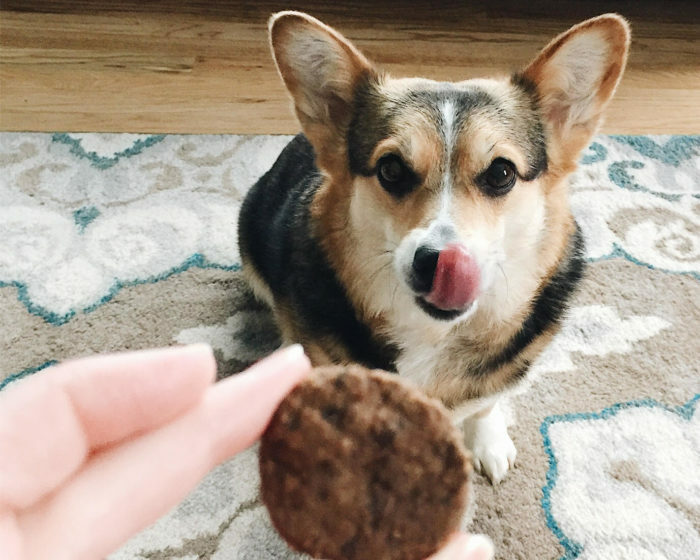 I enjoyed healthy homemade energy bites and Cocoa snacked on her favorite Rachael Ray™ Nutrish® Dog Treats. She loves these. 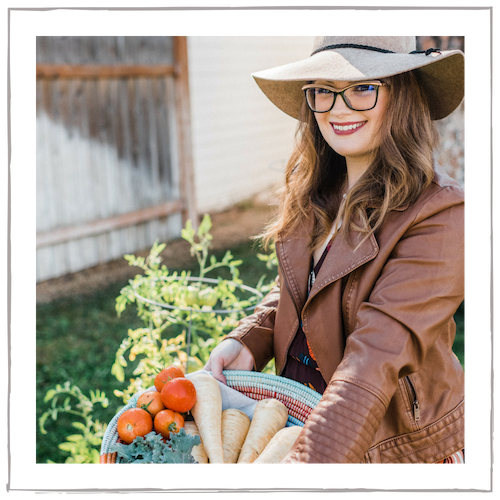 Her favorites are the Nutrish® Burger Bites and the Nutrish® Savory Roasters. 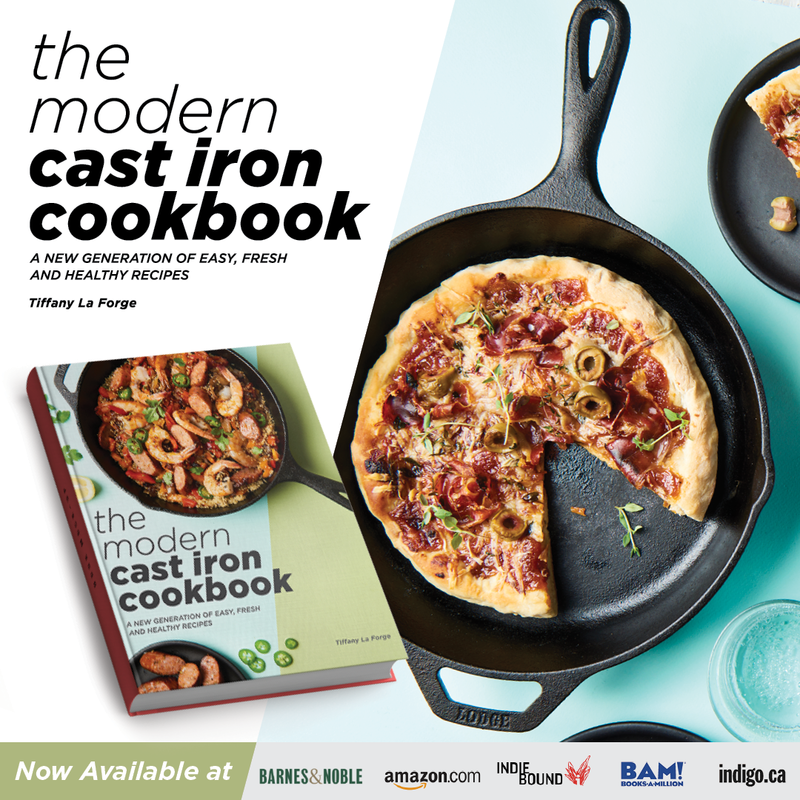 They’re made with U.S. farm-raised beef or chicken (as the first ingredient!) and include no artificial flavors, meat-by products, corn, or wheat. Cocoa has a few food allergies and I have to be careful with the ingredients in her treats. I like that these treats have limited ingredients and Cocoa goes nuts for them. P.S. : I also really love that a portion of sales are donated to Rachael’s Rescue, which helps animals in need. Through 2016, $14 million dollars was raised for pet charities, which supplied much-needed food, supplies, medication, and more. That gets 2 paws-up from Cocoa. 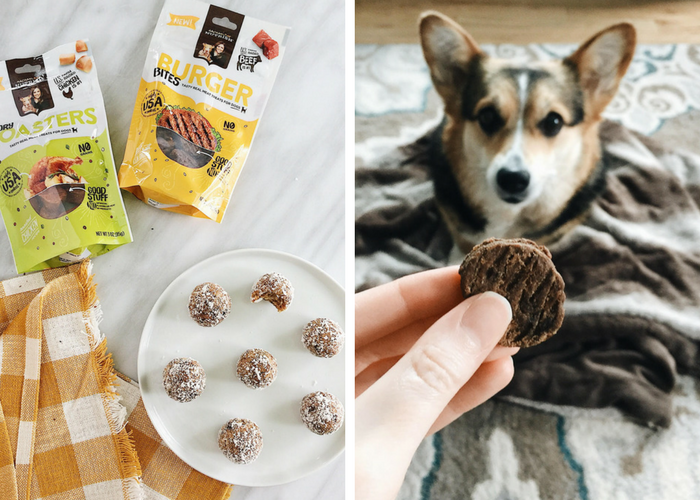 I hope that you’ve enjoyed this post on How to Throw a Treat Yourself Day with Your Pup, and that you have one soon! 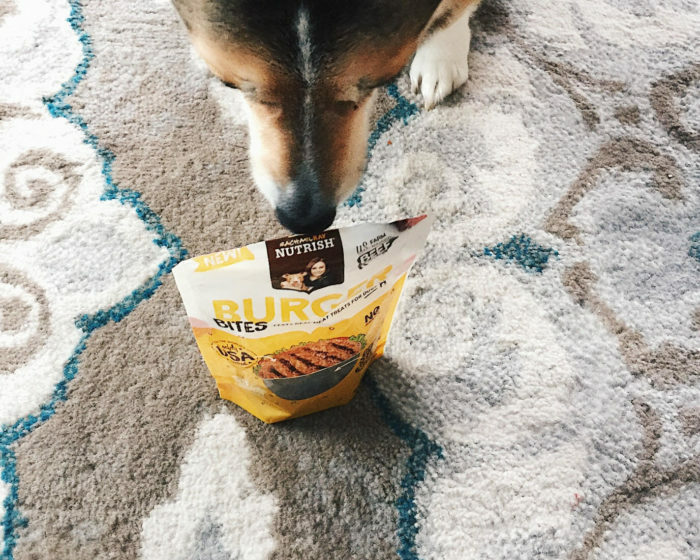 Find out more about the Nutrish® Dog Treats and grab a coupon, too! 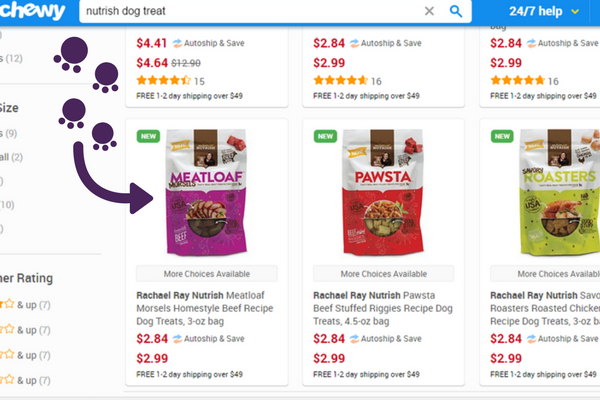 I buy my treats from Chewy.com, seen below. Puff!!!! Can’t wait to hang with you guys and that little fluff of happiness again!